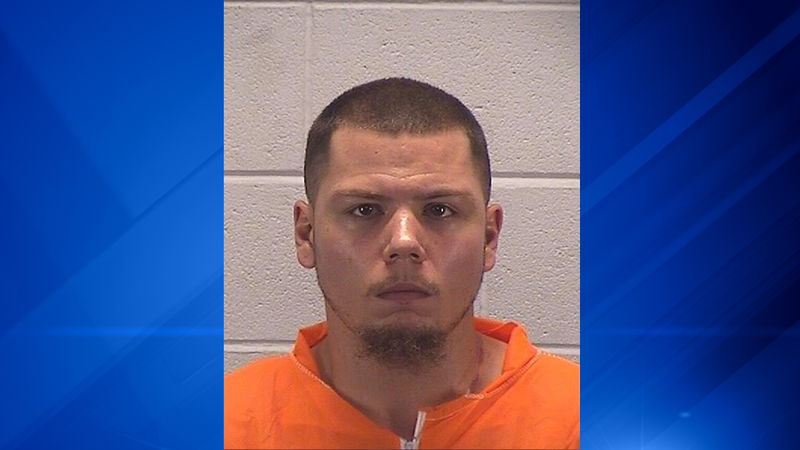 AURORA, Ill. (WLS) -- A 25-year-old Aurora man has been charged with DUI after a crash that killed a 9-year-old girl Friday night. Around 9 p.m. Friday night Katie Jonak was heading home from the Spotlight Youth Theater in Aurora with her 40-year-old mother and two friends, ages 10 and 12, when police said Anthony Potochney veered into their lane on Broadway Avenue near Pierce Street, hitting the family minivan where she was sitting. Jonak was transported to Presence Mercy Medical Center, where she later died. The two other girls were treated for non-life threatening injuries. Jonak's mother refused treatment. Police said Potochney fled the scene and was taken into custody without incident near the High Street Bridge that crosses the Burlington Northern Railroad tracks, police said. Potochney has been charged with four counts of aggravated DUI, two counts of DUI and a single count of leaving the scene of the crash. Police said upgraded charges have not been ruled out. Aurora residents tied blue ribbons around every lamppost and tree in the community before gathering at a vigil Sunday night. Most of the quiet crowd had never met Jonak, a budding young actress so alive on stage she seems to jump out of pictures. "Katie was so full of life, just such a happy person," said Kevin Cary, the superintendent of Westmont Junior High School. Her father, John Jonak, is the principal at Westmont Junior High School. Students gathered at the school to show support for their principal. "Mr. Jonak has done so much for us he's been there when we needed him and when we didn't need him so just kind of good to be here for him and his family," said student Kayla Sleeper. "Katie was a beautiful child, inside and out. She was absolutely riveting to watch on stage. Her sweet, gentle smile radiated the kindness in her heart. We grieve with her family and will miss her terribly." Students said when they return to school on Tuesday they will be wearing red to start their drunk driving awareness campaign.